Nine Mile, or Highway Alt-90, is a massive road which traverses across Pensacola and Cantonment. It begins and ends both in Pensacola, but detours through Cantonment while Mobile Highway (Highway 90) travels through Pensacola. Highway 90 breaks apart near the Alabama border on its western side and near the Escambia River in the east. Nine Mile is a short drive from many newer communities in the ever expanding Cantonment area, and has several supermarkets, hardware stores and virtually every other shopping experience one could hope for across it. But what about places to get a quick bite to eat? 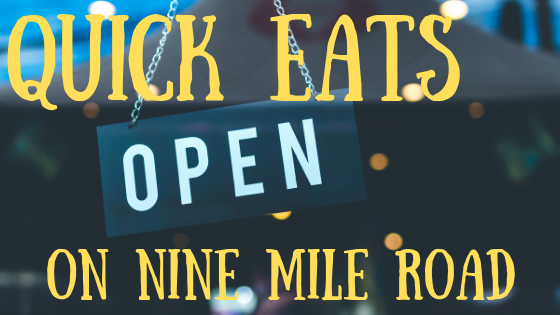 Nine Mile has you covered in spades; from locally owned eateries to our favorite chains, if Nine Mile is a part of your daily commute, your belly is in good hands. Grover's Fingers & Wings: Located where Davis Highway and Nine Mile intersect, Grover's Fingers & Wings doesn’t just do chicken right, but their burgers, fries, onion rings and ice cream are all equally as fantastic, and for the price, some of the best in town. Not only that, but they have steak fingers, which are chicken fingers, but substitute steak for chicken. Show up early for their phenomenal breakfast; their french toast should win awards! Check out their website for their full menu and location, and follow them on Facebook here. Popcorn King: Sometimes you just want a snack, and on those occasions where taste is king and health isn’t necessarily as big of a concern, Popcorn King is in your corner. Locally owned and operated, they expertly serve up over 35 gourmet flavors (Raspberry is a favorite), and if you love popcorn, this place can be difficult to pass by. Check out their website, and click here to follow them on Facebook. Chick-Fil-A: Who doesn’t love Chick-Fil-A? The waffle fries, the lemonade, the chicken sandwiches and biscuits, Chick-Fil-A helps bring dignity and pride back to the drive-thru world. When you’ve got little time, but a big appetite for some chicken, Chick-Fil-A is always there for you. Check out their website for their hours and menu. Dodge’s Fried Chicken: Sometimes, even a drive-thru can take up too much of your time during a busy day, and many of us skip meals when that is the case. On days where snacking on nuts, fruits or candy bars isn’t enough to sustain you, but you’ve got less free time than an ant has weight, Dodge’s is the gas station for you. You can fill up your belly with their wide variety of fried foods while filling up your car with gasoline. It may not be a place for people trying to conserve caloric intake, but if you’re trying to conserve time and money, go to Dodge’s. Be sure to visit their website to learn more about Nine Mile's most popular combined gas station and eatery. Maynard’s Donut Co: Donuts and coffee are a classic American breakfast for those on the go. Maynard’s does to donuts what DaVinci did for painting, and their coffee is top notch too. Locally and family owned, this delicious stop along Nine Mile has its fair share of devoted followers, and for good reason. The Fruity Pebbles donut is so mind blowingly tasty, I’ve heard rumblings of trying to criminalize it. That, of course, is a joke, but if it weren't, I'd be in the streets protesting. Their website offers up their full menu and more, and be sure to follow them on Facebook here. Sammy Barkers American Street Food: Another locally owned restaurant, tacos, coneys, burgers, beer and more fill up this heavenly menu full of sinfully decadant eats. Speed is the name of the game here, so when you’ve only got a little bit of time for lunch but don’t want to sacrifice quality, Sammy Barker does the American thing of serving up scrumptious plates of street food. Follow them on Facebook here, or check out their website for everything you want to know about this sensational restaurant. Rock N Roll Sushi: Living this close to the gulf, sushi is a stable in the diet of many people in the Gulf Coast. For those living along Nine Mile, college students at UWF and commuters traveling through the area, Rock N Roll sushi doesn’t just have fun, music themed sushi (with items such as the Johnny Cash Roll or the Guns & Roses Roll), it has tasty and healthy meals served up speedily and skillfully. The Van Halen Roll might be one of the tastiest rolls I’ve ever had. Follow them on Facebook here, and be sure to check out their website for their full menu. Foosackly’s: As I compile this, I’m noticing a large trend in talented chicken themed restaurants across Nine Mile. Foosackly’s is a small, local chain raising the standards for drive-thru’s in North Florida and Alabama, featuring a small menu mainly consisting of chicken fingers. But what their menu lacks in variety, their food makes up in freshness and taste. They even make nearly all of their sauces from scratch, and have lemonade every bit and good as your grandmother’s. Reasonably priced with a polite and quick staff, Foosackly’s is yet another spot across Nine Mile which make it a great commute for time challenged eaters. Their website has their full menu and list of locations. VooDoo BBQ & Grill: A New Orleans style BBQ restaurant, this chain features quick service and take-out of Louisiana favorites such as po-boys and cajun sausage. If you are craving some great cajun style BBQ but don’t want to make the three hour drive to NOLA, then use VooDoo BBQ to scratch that itch. Check out their website for their whole menu. This is just a small selection of some of the great places Nine Mile has to offer. 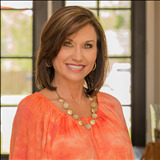 If you are thinking of moving your family to the Pensacola/Cantonment area, or anywhere along Florida’s Gulf Coast, contact me today to learn more about life, and the homes, of the Emerald Coast.